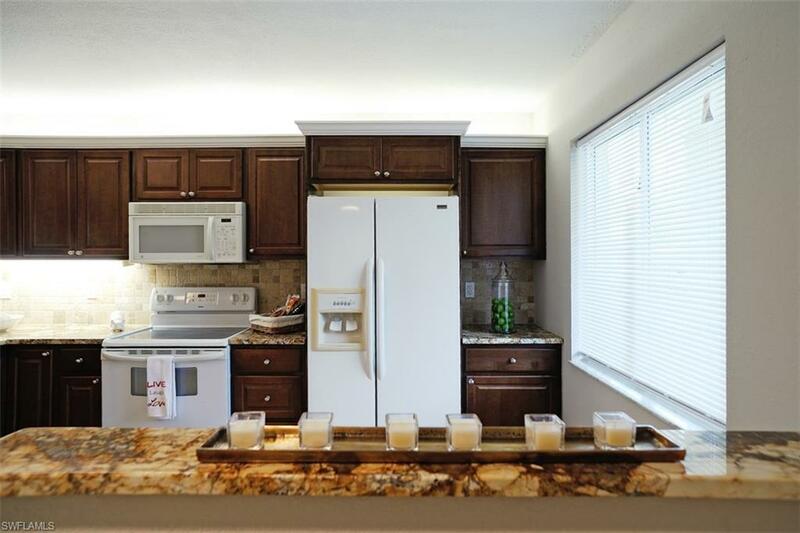 You have to see this first floor condo...great setting...great location...and renovated! 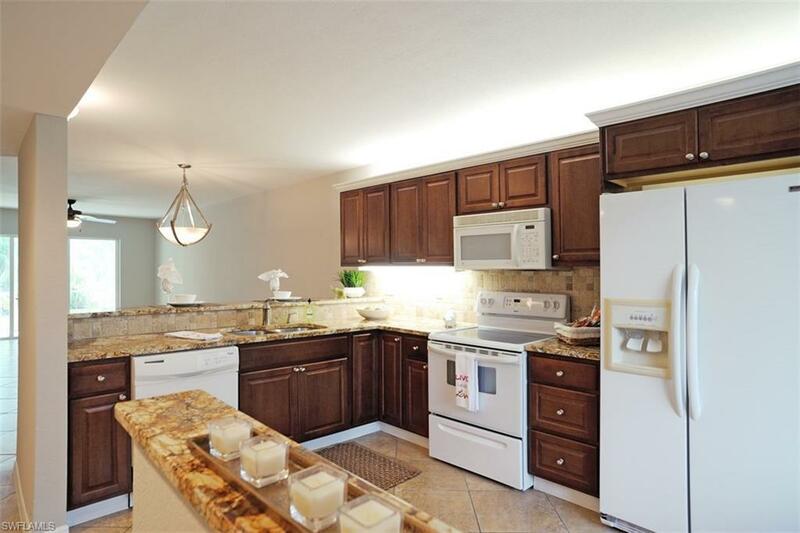 Updated features include new tile on the diagonal, freshly painted throughout, kitchen offers solid wood cabinetry and granite countertops. Both baths have been updated. Move right in, no updates needed. Even the HVAC system is only 6 months old. If you're looking for a quiet, low maintenance property look no further. 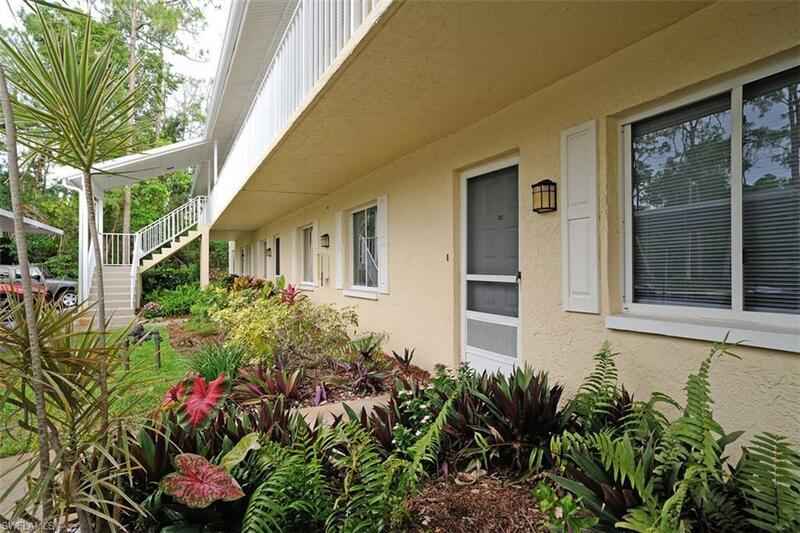 This 2 bedroom / 2 bath condo has a tranquil setting. It is so quite as it is the last building and it is furthest from the road. The screened lanai backs up to pine trees with a path leading to the pool and spa. The complex also offers 2 tennis courts. 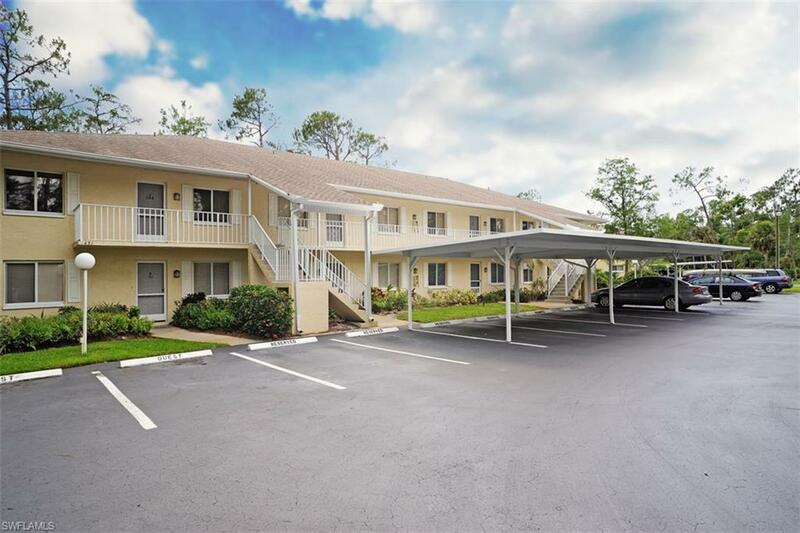 Only 15 minutes to downtown Old Naples with it's shopping, restaurants, and the Gulf.